Members of Beit Kodesh in Livonia will miss their tight-knit congregation. For members of Congregation Beit Kodesh in Livonia, this Shabbat will be the last they spend in the building that has been their home since 1971 — and home to the only Conservative synagogue in western Wayne County. Three generations of Congregation Beit Kodesh members in 2006 at the synagogue’s 50th anniversary: Larry Stein, Phyllis Scherman, Evelyn Stein, 11, Sally Stein, Elizabeth Stein, 16, and David Scherman. Beit Kodesh congregation formed 53 years ago, and its closure this week has much to do with an aging membership and few young families able to take over leadership responsibilities. The synagogue’s last day is Oct. 29, the day its lease ends on the building on West Seven Mile Road, just west of Merriman. The former United Hebrew Schools Molly and Samuel Cohn Building is owned by the United Jewish Foundation and is now for sale. 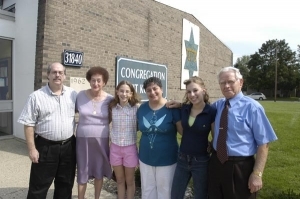 The congregation’s history started in 1958, when a group of families new to Livonia started holding Shabbat services, first in members’ homes and then at Clarenceville Central Elementary School. About 200 people gathered for the first High Holiday services. In 1959, the Livonia Jewish Congregation was officially organized; and, in 1990, the name was changed to Beit Kodesh (House of Holiness). Over the years, the congregation has held services in several locations including a farmhouse, a tent and a church. “We have opened and closed many doors, but what’s most important is the people,” said Phyllis Lewkowicz of Livonia, a founding member who served twice as president and currently heads the Sisterhood. As recently as the early 1990s, Beit Kodesh was a flourishing 90- to 100- family congregation with an active sisterhood and men’s club, a thriving Sunday school and standing-room-only High Holiday services. But, with fewer Jewish families living in Livonia and the departure of their rabbi in the late 1990s, the Conservative congregation now is down to 45 families and no clergy. Knowledgeable members have been leading services. Notably, this progressive, egalitarian congregation became the first Conservative synagogue in Metro Detroit to elect a woman president. Volunteerism was another Beit Kodesh hallmark. The close-knit members helped one another like family and also reached out to help others at places like food banks, Friendship Circle and a Livonia women’s shelter. In 2005, Beit Kodesh hired Conservative Rabbi Jason Miller as its temporary rabbinic adviser. Lewkowicz says she and many members call Beit Kodesh the “House of Miracles” because they’ve managed to remain open. “These days it’s not unusual for small Conservative synagogues to either close or merge with other congregations,” Miller said. “The national trend is a response to the growth of Conservative synagogues during the expansion years and today’s difficult economic conditions. Many of Beit Kodesh’s 45 member families will join Congregation B’nai Moshe in West Bloomfield, which has a similar family feel among its members. However, because of the distance, some older members may not be able to attend services often. In exchange for membership, Beit Kodesh will give B’nai Moshe its assets, including its Torahs. 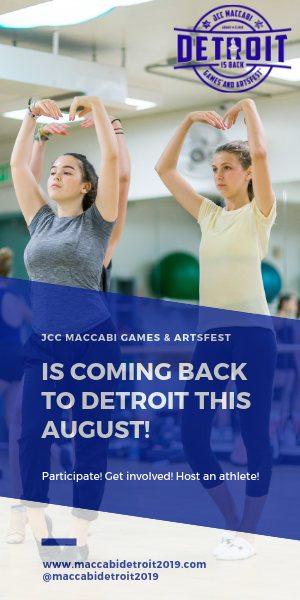 But that doesn’t mean Beit Kodesh won’t be missed in Livonia. By Keri Guten Cohen| Story Development Editor. 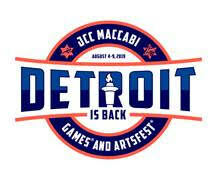 Contributing Writer Shelli Liebman Dorfman also contributed to this story. This is indeed sad news. My family belonged to the Livonia Jewish Congregation from 1959-1966. My father Stanley served as president of the congregation in the 1960’s. My mother Jeanette was active in the sisterhood and an advisor to the youth group. In 1978, a dedication ceremony was held in the library in memory of my mother (who passed away in 1966). I remember vivdly the early days when Shabbos services were held at the farmhouse adjacent to the present location, and high holiday services were held either at Carpenters Hall or the Botsford Inn (because we didn’t have a building large enough to accommodate all of the Jewish families living in Livonia). I was at the dedication ceremony after the congregation purchased the church on Six Mile, and I celebrated my bar mitzvah in that building in 1968. I attended Hebrew school at the current location from 1963-66 when it was the Conn branch of the United Hebrew Schools. Incidentally, it was my father Stanley who designed the blue Star of David that adorns the front of the buidling.